Getting a mortgage after a divorce can be a challenge. A divorce may end your marriage, but your finances can remain intertwined for years to come, adding to the challenge of qualifying for a loan. As a rule of thumb, you want to try to separate your finances and credit from those of your ex as much as possible. Even if your parting was amicable and your ex's finances are sound, every financial link you continue to share adds another layer of uncertainty and complexity to your own financial picture - and you want that to be clear-cut and unhindered as possible when you apply for a mortgage. Ideally, you want to do all that as part of the divorce itself up front, since it can be difficult to extricate yourself from any remaining financial arrangements afterward. But it may be possible to do so afterwards as well, if your ex is willing. For example, since we're talking about mortgages, suppose you and your ex were both listed on the mortgage for the home you shared. If you didn't retain possession of the home after the divorce, you want to make absolutely sure your name comes off that loan and that you are no longer liable for the payments. In many cases, the party who retains the home will agree to accept full responsibility for the mortgage as part of the divorce decree and will make all payments going forward. But that still doesn't get you off the hook if you're the one who didn't get the house. As far as the lender is concerned, you're still on the mortgage - and still liable. The divorce decree only applies to the two of you - your mortgage lender is not a party to it. So if your ex fails to hold up his or her end of the bargain and misses a mortgage payment, that's a blot on your credit as well. And if your ex should stop making payments and default, the lender can come after you to collect - which is an even worse blot on your credit. Even if your ex is responsible and faithfully keeps up the assumed mortgage payments, the loan still represents a potential claim on your finances, which a lender will take into account when considering you for a mortgage of your own. Many people assume that when they sign a quitclaim deed that exonerates them from responsibility for the mortgage. But that only takes their name off the deed for the property - the loan is a separate matter. To get your name off the mortgage, you can see if the lender will allow your ex to assume the loan, that is, to take full responsibility for it. Unfortunately, that's difficult to do these days, unless you have an FHA or VA loan. More often, the only way to get your name off the mortgage is for your ex to refinance it in his or her name alone - which basically replaces the old mortgage with a new one. 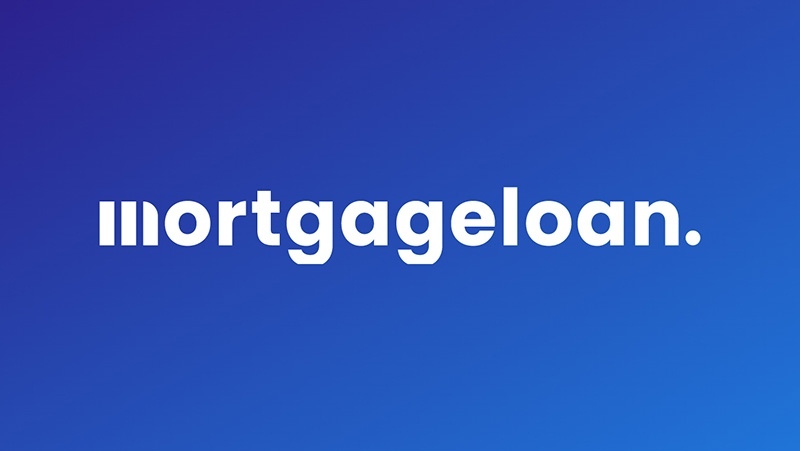 If you can't get your name off the mortgage but your ex has taken over the payments, you'll at least have to be able to demonstrate to your mortgage lender that he or she has taken full responsibility. To do that, you'll need to obtain copies of 12 months of canceled checks or otherwise be able to document that he or she has made the full mortgage payments for at least one year. Another thing you want to do is close out any joint credit accounts you held - credit cards, automobiles, etc. On credit cards, one partner will sometimes agree to take responsibility for paying off the balance as part of the divorce settlement. Unfortunately, if they fail to follow up on that and fall behind on the payments, that's going to be a blot on your credit as well. Even if they're making payments regularly, the balance remaining will still show up as debt you owe when your mortgage lender investigates your finances, which will reduce how much you're able to borrow. It's also better to simply close out any checking or savings accounts you held together, rather than simply allowing your ex to take over the account once you've been paid your share. Even if you never go near the account again, the account number is still tied to your credit and financial history, so any activity there still affects your credit and financial picture. Some things, of course, you can't extricate yourself from. If you make or receive child support or alimony payments, those are going to be part of your financial picture until they expire. The main thing to note here is that you need to declare any payments you're making as a financial obligation on a mortgage application, while if you're receiving them, you'll want to declare them as income - they'll help you qualify for the loan. Tangled financial arrangements can complicate a mortgage application and make it difficult to get approved. So the more you can straighten things out beforehand, ideally as part of your divorce settlement, the easier time you'll have when applying for a mortgage on your own or with a new spouse. Divorce is no picnic. It can be a legal nightmare with more than its fair share of emotional pain. Here are some tips that can lessen potential monetary damage. 1. Revise your money management. The loss of income that results from a divorce can be ruinous if you're not prepared. To ensure that you can take the financial hit, prepare a budget based on your new income level. You'll also need to establish an emergency fund for cash. One option is to take out a home equity line of credit (HELOC), which is a second mortgage that works like a credit card. You can use the HELOC as your rainy day fund, and tap it only when you need it. 2. During the time you're filing for divorce, protect your credit report. This tip is for the pre-divorce period. To avoid having late payments on your credit report, keep an eye on all open accounts. Even if some are the responsibility of your soon-to-be-ex, see to it that payments are made on time. The short-term loss will be worth it in the long run, because your credit score will be preserved. 3. Divorce yourselves from each other's accounts. Even after a divorce has been finalized, you're responsible for shared debts if your name remains on your ex-spouse's credit records. Take immediate action to close these accounts and transfer balances into separate individual accounts. Because it carries added weight on your credit score, adjust your mortgage as soon as possible. Lenders may be willing to remove a name from a mortgage, but don't be surprised if they insist that you refinance the loan in the name of the person who'll keep the house. 4. Update insurance and retirement savings. You'll need to reevaluate all your insurance and retirement plans. You may want to change the beneficiary on all your policies. For the recently divorced, taking care of these potential problems is another step toward putting your divorce behind you. Spend time adjusting your financial accounts as necessary, and be sure that your money management reflects your new lifestyle. If you don't, the grueling ordeal that is divorce could get even uglier.